Ask expats and frequent travelers when they enjoying traveling the most, and you will undoubtedly hear September mentioned time and time again. The majority of the perks lie in the mild yet warm weather, continually thinning tourists, and price drops across transportation, hotels, and activities. September also means the start of the arts and festivals season, so if you are planning to visit Europe in early fall, continue reading for everything you need to know. While there are many more festivals happening in September than listed below, here are some of the top events worth exploring. Venice—On the first weekend in September, the Grand Canal is flooded with rowers racing for the Regata Storica. This yearly event is held to commemorate the 1489 Act of Caterina Cornaro, when the wife of the King of Cyprus, renounced her throne in favor of Venice. You'll see an impressive display of boats, along with crew members dressed in period costume. If you are more of a movie buff, check out the Venice Film festival, which also draws large crowds each September, and make sure to check out more of What's Going on in Venice in September for a complete list. Arezzo—Also during the first Sunday in September in Italy is the Medieval Jousting Festival. See the 12th century re-enacted with games and costumes from the days of knights and maidens. 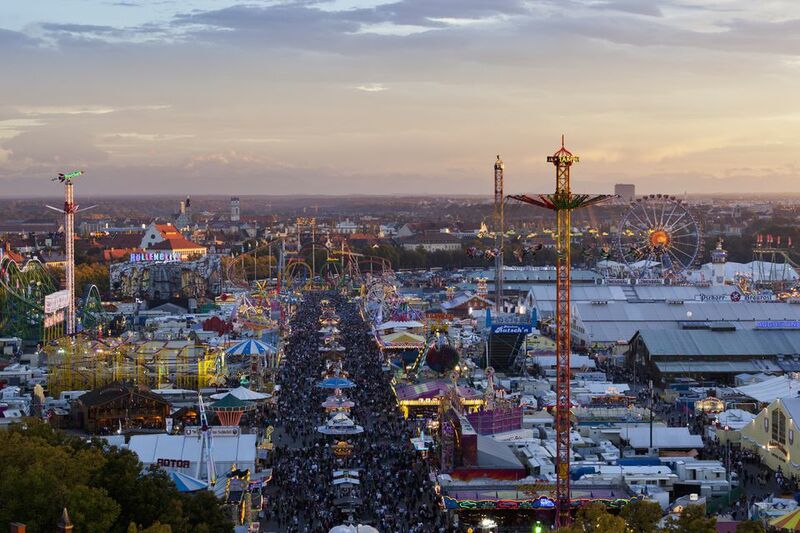 Munich—Though the name is misleading, the world's most beer festival, Oktoberfest starts in September, and it truly a must-do experience for German beer lovers. Spain—Spain loves September. From the San Sebastian Film Festival to the Riojo Grape Harvest Festival, there is so much going on. Click here to see more September Festivals & Fiestas in Spain that are worth a visit. Beaune, France—For excellent music blended with amazing wines, don't miss Jazz a Beaune and the St. Emilion Festival that kicks off the French harvest season. Read more about traveling to France in September. Paris—As September rolls in, the relaxed summer vibe morphs into what is known as "la rentrée", which translates roughly as "back to school". This means Parisians get down to work on some of the year's best festivals including the Musical Waters at the Chateau de Versailles and the Autumn Festival. There is so much to discover in Paris in September, so make sure to book your trip early. Galway City, Ireland—On the last weekend of September, you can chow down on some Ostrea edulis (also known as oysters) along the Guinness Oyster Trail during the Galway International Oyster Festival. Antwerp—And finally, in mid-September, Belgium celebrates Laundry Day. Experience pulsing music in a lively environment on seven separate stages. If you are still searching for ideas on what to do in early autumn, see an overview of traveling to Europe in Fall.